This is the fifth post in the series. Click here to start with the first post. 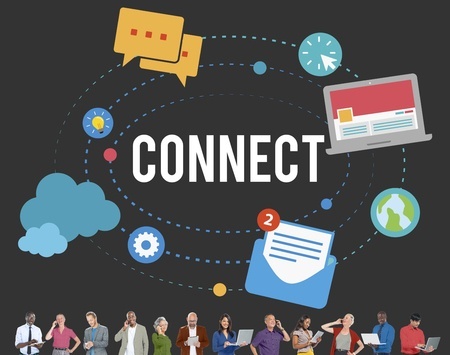 My fifth suggestion for evolving alongside the modern learning culture is also one of the quickest: connect the communication methods in your learning event. This impactful process involves connecting all the various ways you can communicate with your learners, from text to chat to phone to SharePoint sites and beyond. One driver of the modern learning culture is the unprecedented variety in the workforce we train. For the first time in history, we have four generations in the workplace at one time. Each generation has unique communication preferences. Generally, Millennials are really comfortable with texting and quick points, while older generations might prefer phone or email. By using this multi-channel approach, you can transcend generational differences and appeal to a larger number of participants at once. Furthermore, connecting communication methods supports accessibility. Globally dispersed virtual teams are becoming commonplace – and they’re a main driver in the modern learning culture. English is a second language for many in these multicultural classrooms. Using multiple communication streams minimizes the potential for misunderstanding. Finally, by using both verbal and nonverbal communication styles, we support those with visual and hearing impairments. We can accommodate the needs of all learners without sacrificing the preferences of others. Personally, I don’t like answering the phone. So I subscribed to a service that transcribes my voicemail. I receive an email with the transcription of each new voicemail. I can then make a decision as a manager about whether I need to deal with the message directly, or if it would be appropriate for a team member to handle. It also allows me to collect information and do my research before calling the person back. For blended learning programs, you can send out a text message that connects to a webpage with more detail. The text gives the participant a little information, while the webpage provides more. Learners can also choose to drop into chats to get even more information. Not only are there multiple communication methods in play, but we are also honoring adult learning principles. We give participants the ability to choose what information is relevant to them. Connecting communication methods can be done in a non-work intensive way. Take advantage of the many ways that learners can communicate with one another, and all of the methods of content distribution. We can make these multi-faceted communication approaches standard in training, and successfully evolve with the modern learning culture.